FACT: Elephants are one of the few non-human animals to experience post-traumatic stress disorder? Watching these smiling animals frolic in the river, roll in mud, gossip with their pals, play with tires, and eat all the watermelon they can swallow, makes it hard to imagine their harrowing histories. But elephants don’t forget and their eyes reveal their traumatic pasts. I didn’t know much about elephants before I decided to volunteer for a week with these trunk swinging mammoths, but it didn’t take long for my friend to convince me to join her there. 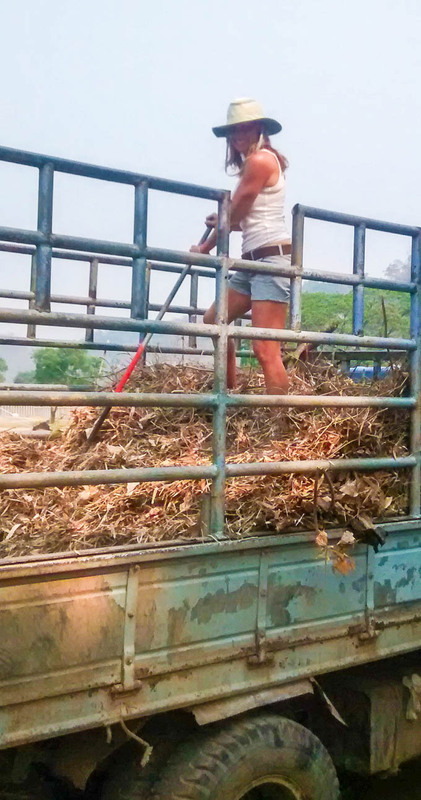 Volunteers clean out stalls, prepare “ele” food, cut corn, build walls, or do whatever else is needed to help around the property. In addition to elephants, the sanctuary houses over 500 dogs and a dozens of cats. There is plenty to do! 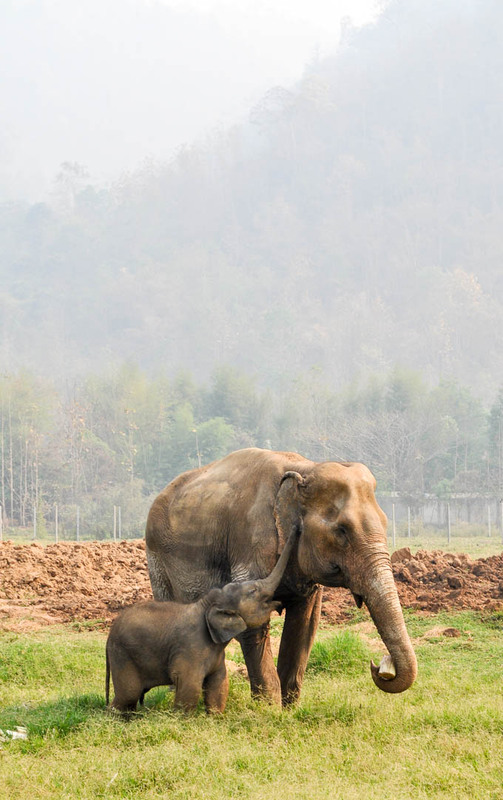 I learned how intelligent and sensitive elephants are, often creating bonds for life. Their brains have a highly developed hippocampus and cerebral cortex making them capable of human-like emotions such as loss and grief. Elephants even cry. They remember and mourn their loved ones many years after their death. 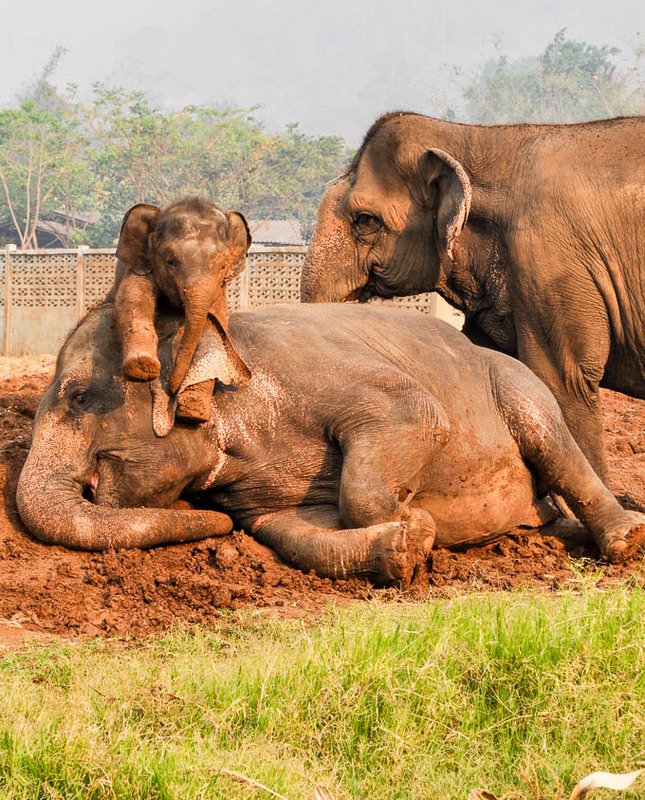 One of the saddest truths I learned, was how elephants are “crushed” into submission. 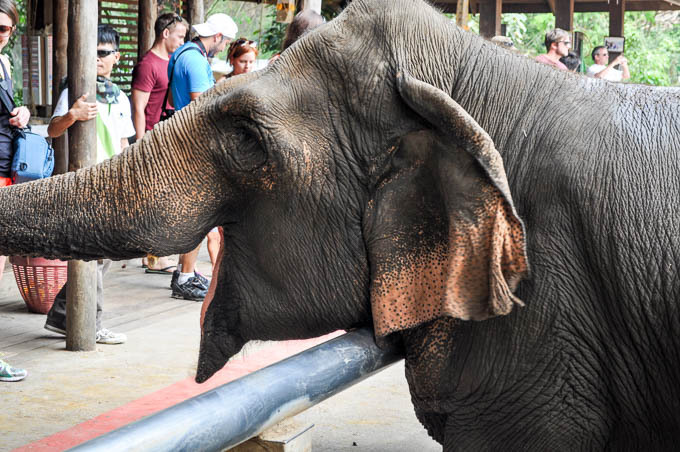 Unlike dogs, elephants do NOT like working for humans. 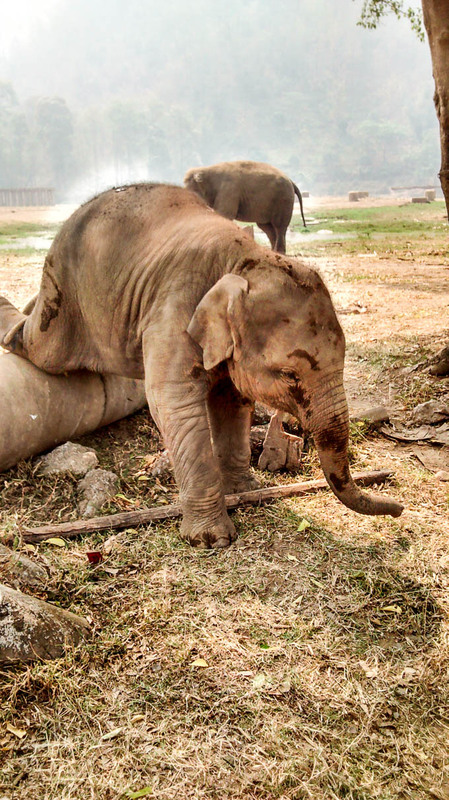 Owners put young elephants into “the crush”, a horrific torture contraption, until their “spirit is broken”. This makes them docile and valuable workers. Naively, I had no idea about this ritual until a film we watched showed the shocking footage. It was hard to swallow and left me sick to my stomach. 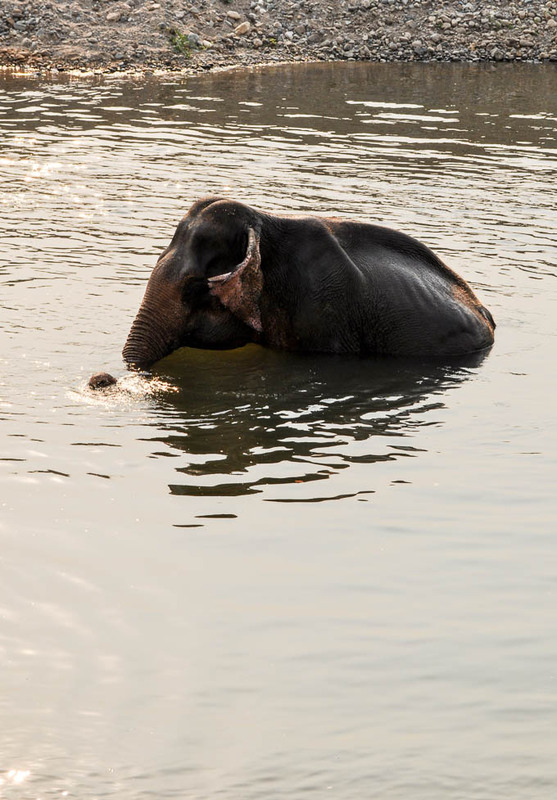 This is what makes The Elephant Nature Park so special. 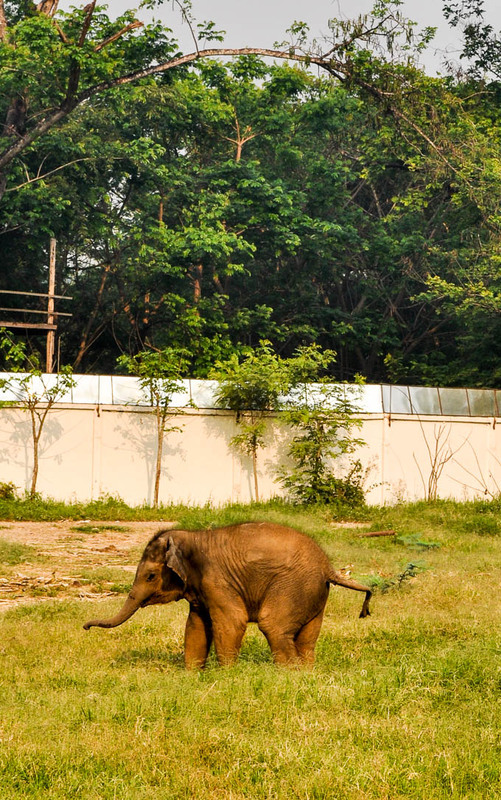 Elephants come here to live freely. They are supported and well-cared for. Dorms consist of basic rooms (beds, mosquito nets, and teeny side tables) and shared bathrooms (some lacked hot water and proper plumbing) but all the money goes to the elephants so any luxuries missing for guests is part of the heart-swelling experience (although I had a few thoughts of staying at a nearby hotel). Volunteers are placed in small groups which rotate tasks in the morning and afternoon. The work is not glamorous but it’s fun and great way to meet people from around the world. My favorite day was “chopping corn”. 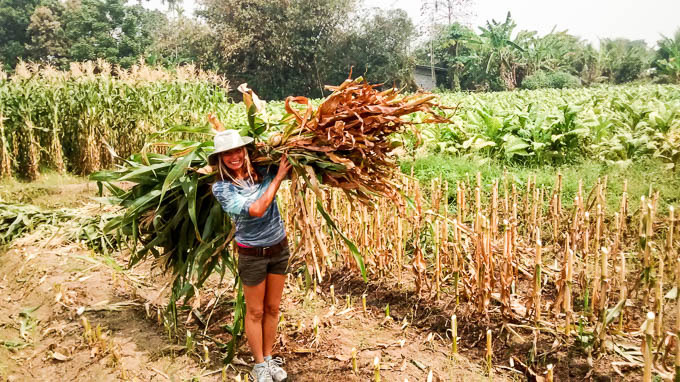 It was hot, sweaty and physical labor but I felt like a warrior swiping stalks with my scythe. The elephants are funny and mischievous. Not only can you hear them trumpeting at night but one day, a smaller female snuck into the dorms through the stone barriers. It was an amusing surprise and we all had a great laugh. During my stay, an old trekking elephant needed rescuing. Her feet were a mess and she’d never had a day off in her long working life. 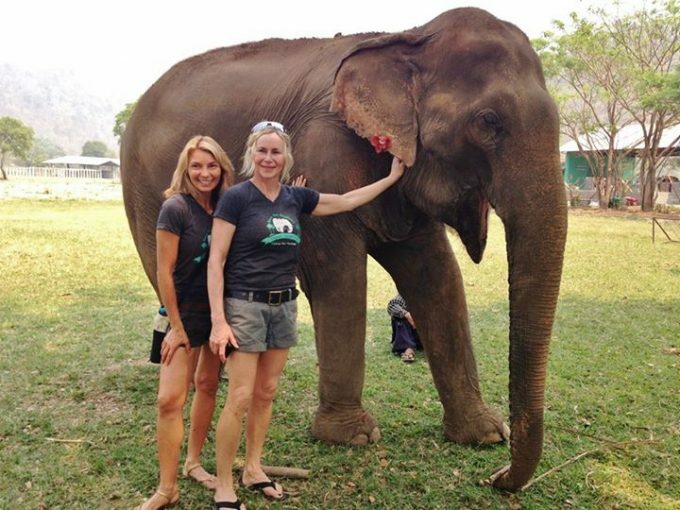 Lek (the founder) and all the volunteers went to pick her up and walk her back to the sanctuary. Eventually, a truck was needed to assist. We watched closely as the herd welcomed her to her new home. The matriarch scanned her with her trunk which seemed to calm and reassure her. Then she coached her off the truck and led her to the river. They waded in and floated weightlessly. 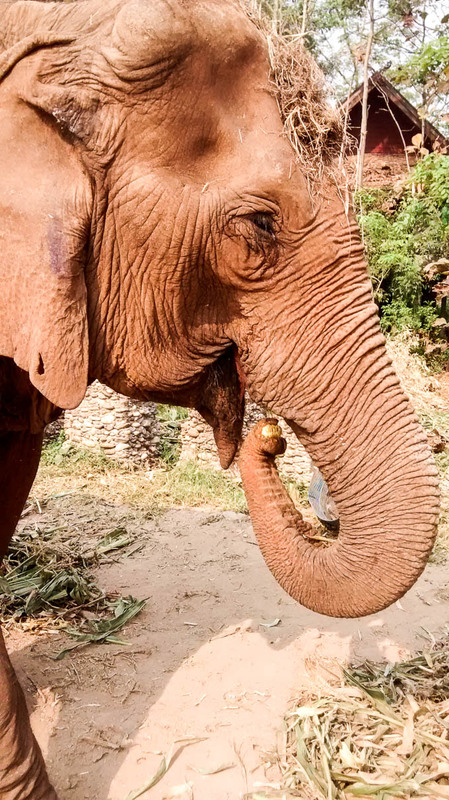 For the first time, this long-term trekking elephant rested her feet. The relief was visible and moved many to tears. I recently finished a book called, “Leaving Time” by Jodi Piccoult. It’s a well-researched novel about an elephant scientist. The story moved quickly but I loved the extensive reading more about elephants. 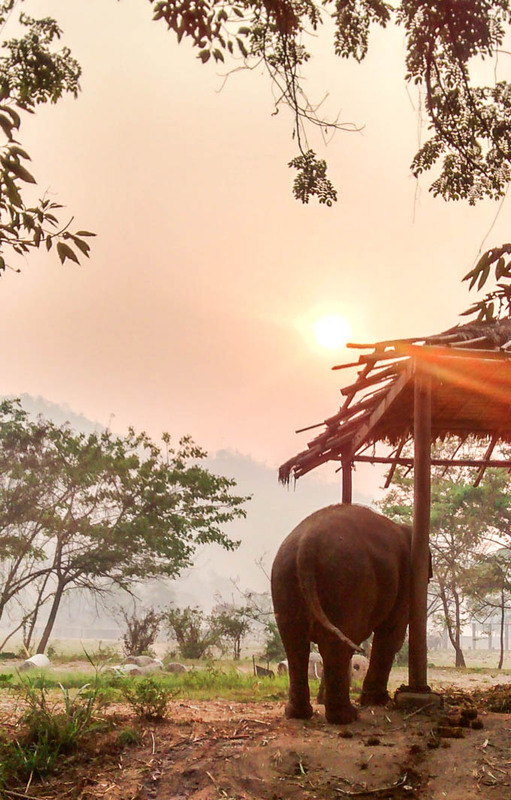 The Elephant Nature Park is a special place and I highly recommend visiting. You can go for a day or a week. I went in March which is considered the “smokey season”. This didn’t bother me at all but some found it harder to breathe. Volunteering is a great way to help but sponsoring an animal or making a donation is another compassionate option.